Group policy coverage has been provided to employees since practically The Depression era, originating as an added incentive that would help companies entice the best workers. In the 21st Century, it’s taken for granted that if you become employed you most likely will be offered insurance coverage. What is a group policy and what does it cover? In professional liability insurance terms, group coverage refers to a group of practitioners that work under one umbrella or employees that work under one corporate banner. It also refers to those who work in the non-profit field. A corporation, by the way, doesn’t have to include hundreds of people – corporate could refer to a single person who is incorporated. Whether it’s corporate, group or non-profit, the same policy applies. Clerical or administrative staff are automatically covered under the policy and do not affect the premium. The price of the insurance is based on the number of providers rendering services. The policy is issued in the name of the entity, but under the definition of insured within the policy all W2 employees, and volunteers are covered. Generally, insurance policies are evaluated once a year; if a group or corporation grows or loses staff during that year the premium they pay will not change. 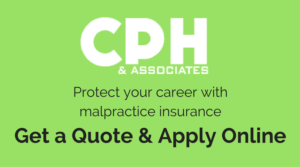 People under 1099 contract to the group or corporation are typically not covered; however CPH & Associates can offer a separate endorsement to cover these contract personnel if the company wishes to insure them. As it was in the 1930s, group policy coverage offers a fine incentive to groups, corporations or non-profits wanting to attract employees. It is, perhaps, the single biggest feature of acquiring a position within a corporation or group. CPH & Associates’ group policy coverage will make this feature that much more attractive for present and prospective group members.